After the mishaps during last semester’s Concordia Student Union by-elections, chief electoral officer Andre-Marcel Baril has delivered both his election report and his resignation. In the report, he applauds Concordia for holding a “democratically sound public referendum” on the Boycott, Divestment and Sanctions movement against Israel’s occupation of Palestine, adding that he is also very proud to have overseen this process. While we at The Link are also proud of this fact, we believe that there were many failings during the by-election, and it’s a good thing that Baril has identified these in his report. Frankly, if divisive issues must be addressed, it is necessary to first have a robust democratic institution as well as oversight to successfully manage the electoral process. Ultimately, however, this referendum was an anomaly and policies created after this by-election should only be for sensitive questions in the future. The “electoral committee” proposed by Baril—which would be composed of students without a vested interest in the election’s outcome—might not be necessary for all questions. The Concordia Student Union should take Baril’s recommendations seriously to avoid a repeat debacle that has the capacity to mar an entire election. Externally hiring a chief electoral officer along with a panel of neutral students could be a feasible solution. Baril noted the criticism he received in a Link editorial dated December 12, 2014, where we suggested that the electoral regulations are flawed. We stand by the assertion that it is a ridiculous notion to permit changes to a referendum question 24 hours prior to an election, after student groups have campaigned upon a certain premise for weeks prior. Baril didn’t address the 24-hour emergency window at all at the council meeting, but he is on the record as saying it should be changed. The CSU might benefit from engaging the wider student body, which generally regards it as an irrelevant institution despite paying CSU fees of up to $75.40 per semester for full-time students. Building upon the vastly improved (yet still miniscule) turnout figures of the November by-election would strengthen the CSU, so the union ought to put more effort into engaging its electorate. Both the Yes and No camps for the BDS question woefully misinformed curious Concordians in the Hall building mezzanine. As Baril rightly states in his report, the No camp explicitly claimed Israeli students would not be allowed on campus and that kosher food would not be allowed either, both of which are false. The Yes campaign, meanwhile, was guilty of exaggerating Concordia’s complicity in the oppression of Palestinians through its association with Israeli institutions. There are unanswered questions as to why the No side was sanctioned, while the Yes side wasn’t, even though there were rule violations on both sides. If the CEO had had an election committee around him, these violations may have been stopped in the first place. We endorse Baril’s recommendation for the CSU to hire a Media Specialist whose role would include publicizing the election and informing the student body, in addition to the establishment of an election committee. We also suggest that more ballot counters be hired for future elections to prevent ridiculous 21-hour work shifts like the one’s Baril describes in his report. From the small survey of Concordia students that we approached, a pitiful number of them were informed about the rules and procedures of voting, the nature of the election and the implications of their vote. 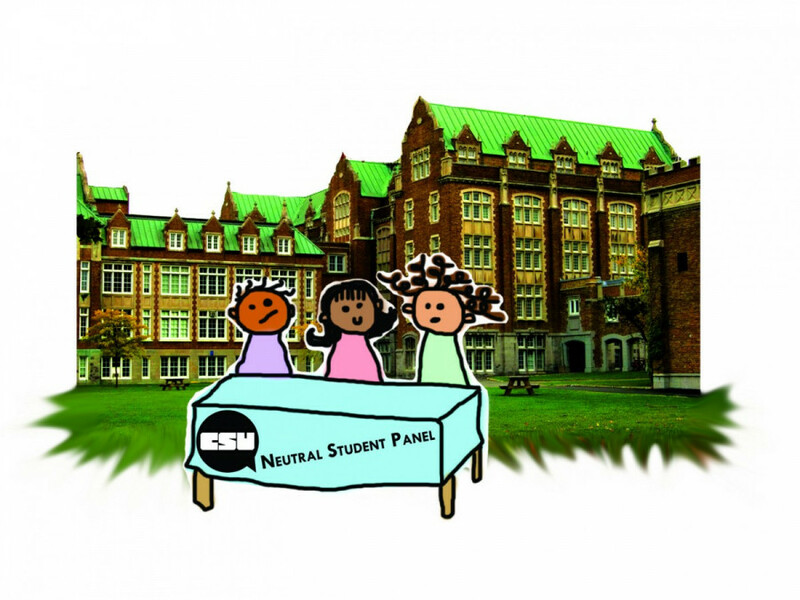 The executive mismanagement of the BDS vote effectively overshadowed other important questions concerning students. Nevertheless let’s not forget that students gave the CSU a mandate to oppose budget cuts in the education sector, the endorsement of a CSU-run daycare centre, and the approval of the Hive Café loan.